Meet our E-UP proven professionals committed to providing skills training, education and guidance to student athletes, parent/guardians and coaches. James Fisher-Davis is the founder and owner of Equilibrium UP. 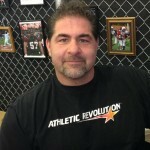 James has over 20 years experience coaching youth ages 5 through professional level. James coached the 18u boys team that represented Charlotte and the United States in a basketball tournament hosted by France under Charlotte International. James has coached both girls and boys in multiple sports. He has coached numerous student athletes, who currently play or have played professionally or are current collegiate student athletes at the Division I, Division II and Division III levels. James coached at Charlotte Christian for 8 years beginning his tenure coaching baseball before transitioning to boys basketball. He was elected to the the Matthews Athletic and Recreation Board in 2005 an organization serving approximately 2700 athletes and 1900 families and went on to serve on the Executive Board and as President. James has been an educator/trainer for over 25 years. He received his bachelor's degree from UNC-Wilmington in Sociology and his Master's from the University of Charleston in Adminstration, Education and Training. James received his General Instructor's Certification from the state of North Carolina with various specialized certifications. He served as an Associate Dean within the North Carolina college system and currently as an Adjunct Professor at Wingate University. "We should inspire others to seek that which motivates them only then will they sustain the desire to compete". With over 18 years of experience as a student-athlete, Jaymee Fisher-Davis brings a unique and current perspective. Jaymee participated in basketball, softball, and volleyball throughout high school while also participating in the band. Jaymee was a member of three nationally ranked high school basketball teams earning all-conference, all-area, and Matthews Mint HIll area player of the year. Jaymee played for the women's 18u Charlotte Cougars, who represented Charlotte and the United States during a basketball tournament hosted by France. She played collegiately at Liberty University where she is 7th all-time on 3-pointers made and holds the record for consecutive free throws made. Jaymee has worked camps for the Liberty women's and men's basketball teams while also hosting Liberty women's basketball recruits. Jaymee earned her Bachelor's Degree in Communications from Liberty University and is pursuing her Master's Degree. She is passionate about providing assistance to student athletes of all ages. "Liberty University is about training champions for Christ. I am excited about doing my part in helping student athletes succeed." Kurt Wessler is recognized as an educator, mentor, role model and coach throughout the Mecklenburg County community. Kurt earned his Bachelor's Degree from Appalachian State University. He is a National Board Certified teacher with over 27 years of classroom experience. Kurt has spent the past 22 years preparing student athletes for college acceptance and participation in collegiate athletics. During this time, he has coached over 40 student-athletes who have become student-athletes at the collegiate level and/or professional athletes. Kurt has counseled hundreds who have furthered their academic studies. Kurt was the Head Men's Basketball Coach at Z.B. Vance High School from 1997-2004 where he won a state championship and Head Men's Basketball Coach at D.W. Butler High School from 2004-2011. During his final season at D.W. Butler his team finished with a 26 and 4 record while capturing the regular season championship and back to back Conference Tournament Championships. Kurt continues his work inside the classroom at Butler while serving as the Head Softball coach and has accepted a more daunting coaching position as he now coaches his middle school son and daughter on the AAU circuit. He is also a Lead Instructor at Carolina Courts. "It is important that student-athletes and parents understand that athletics is a process involving athletic, academic and social balance". Tom Jamerson was a member of the Ohio University basketball team where he was a three-year starter. Tom still holds the 3-point FG% record in a game going 5 for 5 against Sweet Sixteen participant Eastern Michigan University in 1990. Tom served as the Assistant Men's Basketball Coach and Recruiting Coordinator at The Master's College during the 1992-1993 season. Tom has coached and recruited players who have participated at the amateur and professional ranks. Tom has been an Athletic Director at the high school level for the past 15 years. He served as Athletic Director at Charlotte Christian School during a three-year state championship run by the baseball and football teams. He currently serves as the Athletic Director at Marvin Ridge High School. Tom has overseen numerous sports camps, tournaments, and clinics throughout his coaching and athletic director career, as well as conducting individual basketball skills training. Over the years Tom has relied upon analytics and Evidence Based Practices to assist with the accurate placement and evaluation of student athletes. "What E-UP is offering to student-athletes and families is long overdue and I can't think of a better advocate." George Maoury has been a performance coach for over 20 years and the last 12 years he has focused strictly on youth performance training. George has worked with numerous high schools, middle schools, and youth organizations. He has been featured on Charlotte News Channel 6, Sports Extra (NBC), Got Game (Sunday morning Fox) and his training techniques have been reported in the Charlotte Observer, South Charlotte Sports Report, and Pub Link Golf Magazine. George holds a national certification with the National Academy of Sports Medicine (NASM) and is a Level II Advanced Golf Fitness Instructor. His youth fitness certifications through the International Youth Conditioning Organization (IYCA) consists of: IYCA Certified H.S. Strength and Conditioning Specialist; IYCA Youth Fitness Specialist III; and IYCA Certfied Youth Speed and Agility Specialist. "Anyone can make you tired...not everyone can make you better." Chris Hailey is a native of Wadesboro, NC. Chris played Collegiate Basketball and Baseball at Brewton-Parker Jr. College in Mt. Vernon, Ga., and Shaw University in Raleigh, NC. He has dedicated himself to mentoring and coaching youth basketball for Matthews Athletic Recreation Association (MARA), Carolina Courts (Indian Trails) and the University City YMCA. Assistant Coach East Mecklenburg High School Boys Basketball. Chris has been an educator and trainer for over 20 years. He received a bachelor’s degree from Shaw University in Adapted Physical Education and Kinesiotherapy and his master’s degree from Pfeiffer University in Organizational Management. Chris received his General Instructor’s Certification from the State of North Carolina with a specialization in Physical Fitness Training. 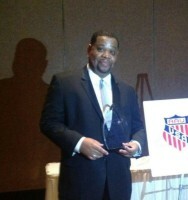 Chris is an inductee of Shaw University Athletic Hall of Fame. “The fruit of the tree is not as important as the root of the tree”. 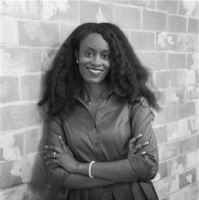 Dr. Geniece A. Crawford Monde is a faculty member in the Department of Sociology at Wingate University where she teaches courses in Sociology and Criminal Justice. Dr. Crawford completed her undergraduate studies at Binghamton University. Her interest in issues of social justice and high achieving students from various backgrounds led her to pursue a Doctorate in Sociology which she received from Harvard University in 2013. Throughout her life Geniece has maintained a commitment to helping young people succeed, many of them being student athletes. Whether from her volunteer work at high schools, the local Police Athletic League, or her involvement with Big Sisters of America as a graduate student, she has been passionate and dedicated to assisting student athletes in striking a balance between athletics, academics, and family. Her interactions with student athletes at Harvard University while serving as an adviser has provided Dr. Crawford with valuable knowledge and expertise into the insight of well rounded student athletes. "Through my professional and academic experiences and as a professor and student adviser at Wingate University, I have witnessed firsthand the importance of assisting students and parents meeting them at the point of their need." 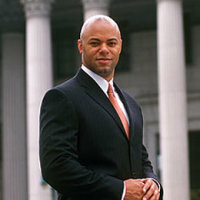 Quentin is an attorney, prolific international speaker, and former FBI agent and federal prosecutor who has held positions as an executive with the National Football League (NFL) and National Basketball Association (NBA). His high-achieving high school academic record and All-State football honors earned him a full football scholarship to Boston College where he earned an undergraduate degree in economics in 1987. In 1991, Quentin earned his law degree from St. John’s University School of Law. A dedicated community leader and mentor, Williams is an advocate for self-empowerment and service to others. He is the founder and chairman of the nonprofit organization Dedication to Community (D2C). Quentin was born on the island of St. Thomas in the U.S. Virgin Islands and grew up in New York City and Yonkers, New York. He is the proud parent of a wonderfully talented son and an extraordinary daughter. Kerry Sargent has dedicated himself to mentoring and coaching basketball to girls and boys within Charlotte and the surrounding area for 28 years. Kerry continues to coach 17u boys in the Charlotte Nets Organization where he coached the likes of Anthony Morrow (OKC Thunder), Deandre Bembry (Atlanta Hawks), Kennedy Meeks (UNC), and numerous others. Kerry Sargent coaches girls basketball at Mallard Creek High School during the high school season. Kerry, a native Mississippian, was a three-sport athlete in high school earning class Athlete of the Year and honorable mention All-American. Kerry earned a scholarship to play basketball at Steed College in Tennessee, earning a B.S. in Business Administration. After graduating, Kerry entered the Air Force in 1982. Kerry has over 500 wins on the AAU circuit and has coached well over 200 collegiate student athletes. These accomplishments afforded him induction into the North Carolina AAU Hall of Fame in 2013 along with Jerry Stackhouse and Chris Paul.